Samantha had grown up in America and always knew she was adopted but what she didn’t know that she could have a twin. That is until she was contacted by Anaïs, a French girl living in London. Together they go on an incredible journey to find out if they really are twin sisters who were separated at birth. 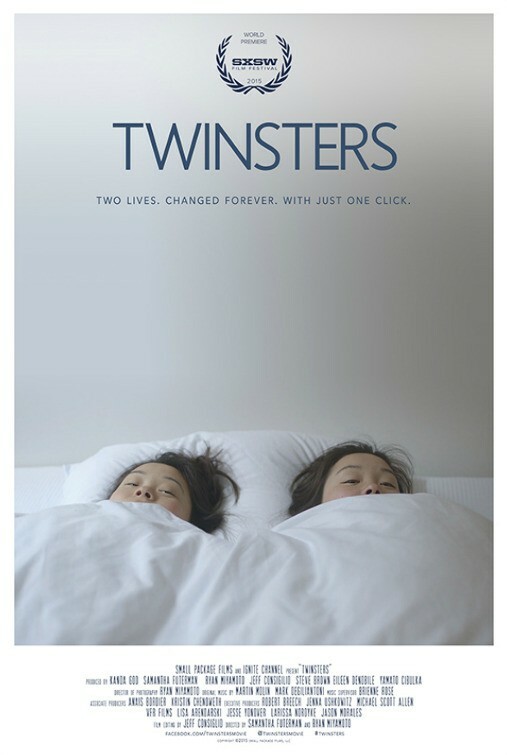 Twinsters is a fascinating and well-made documentary. While the story is mostly told from Samantha Futerman’s point of view as she’s the one who is first contacted by Anaïs Bordier with the idea they might be twins, you still get the time to see what Anaïs thinks about the whole experience and learn more about her life before finding Sam via the internet. You also get short interviews from Sam and Anaïs’s friends and family’s as they too learn that their daughter or friend might have a biological relative in a different country. That’s one of the incredible things about Twinsters, is that these two young women who live continents apart found each other through social media. They talked for hours at a time on Skype and Facebook messaged each other nearly every day for months before they ever met face to face. It proves how the internet can be used for good to connect people around the world. Sam is an engaging storyteller as she and Anaïs get into contact with the adoption agencies they went through as babies in South Korea, to try and look into their records more closely. Twinsters is not only the story of Sam and Anaïs finding each other, but of them discovering their heritage in Korea and where they came from. Twinsters is such a heart-warming and incredible true story. It’s all about love and family and the friends and connections we all make. One of the great things about Twinsters is that it doesn’t judge on what family is better, biological or adopted, and how Sam and Anaïs learn about each other’s families and decide to what extent they want to be a part of them. Twinsters is film that makes you laugh and cry tears of happiness as these two young women get to know each other and decide how much they want to be in each other’s lives. 5/5.